Listen Up New Yorkers, Here is What this NEPA Resident Thinks of Your Pizza! 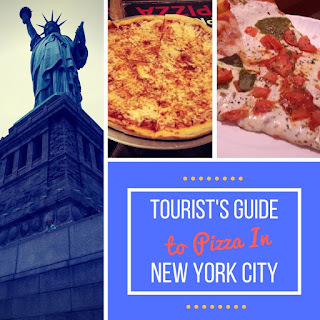 If any of you follow me on Instagram, Twitter, or Facebook, you may have noticed that I was in New York City for a family vacation which of course meant that I was going to get my hands on as much New York pizza as I could. 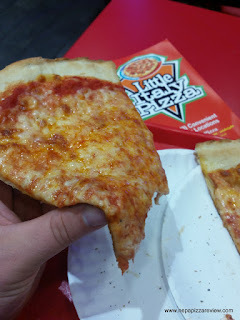 As a pizza critic, I would have loved to have developed a list of the consensus best pizzerias and visited them all, but "the best" is highly debatable, there are so many pizzerias in the Big Apple, and I was up against an incredibly packed itenerary with little time to sit and do my usual pizza review thing so I had to go with quantity over quality, but I still got a pretty good idea of what the touristy "slice to go" operation of New York City is like and how it stacks up to the equivalent pizza of Northeastern Pennsylvania. I have to admit, there was a little bit of apprehension in the back of my brain about going into NYC and trying pizza that might be so great that it could call into question everything I've done, written, and said about our amazing pizza here in NEPA. What if the pizza everywhere around town was so great and put all of our pizza to shame? I put those odds at about 1 in a million, but still - what if? I have to say, the first pizza I tried was from Little Italy Pizza on 5th avenue and I was very impressed with the razor thin crust and how crispy yet foldable it was. The flavors were excellent with the sauce having a wonderful consistency and scored very high on my NEPA Pizza Rating scale so you can imagine I was both excited to find more great pizza and nervous that I might have to acknowledge that there might be something to the rude New Yorkers that completely write off our pizza as garbage and refuse to even try what great pizza we have to offer. Was this slice better than everything we have in NEPA, NO WAY, but it was very good and having the first slice be so good lead me to believe that perhaps all pizza in NYC was a cut above. It couldn't be true, could it? Was my whole NEPA pizza life a lie? 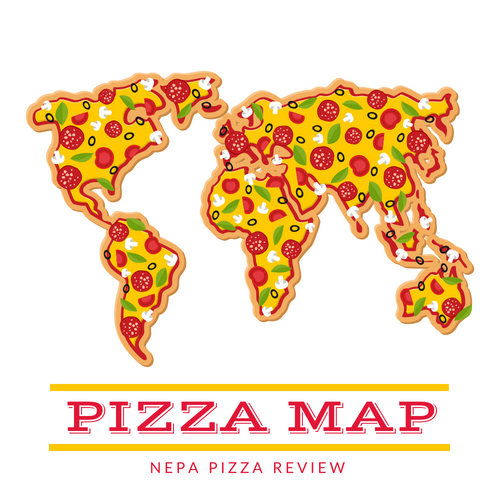 After having the satisfying slice from Little Italy and questioning my pizzahood, I moved on to 8 additional pizzerias throughout the weekend with my overall health declining due to pizza overload after each bite, but I was on a mission to return to the NEPA Nation with an answer! After trying the other pizzerias, I found one average slice after the other. After catching lightning in a bottle on the first visit, I feasted on a long sequence of overpriced, decent yet unimpressive pizzas delivered to me with poor customer service and a New York attitude. At each stop, I purposely sought out the freshest slice on the counter and requested that one so that I could be as fair as possible in my assessment. Each was more average than the previous and I became more emboldened in my stance that Northeastern Pennsylvania does in fact measure up among the best regions in the world as having the best pizza quality and variety as evidenced by our placement in the pizza belt and status in the pizza bible. Can I reasonably conclude that NEPA pizza is better than NYC based on my limited sample size and methodology? No, but I can say that I found no "magic" in the pizzas I tried, and I can also say that the New Yorkers who tell me that NEPA pizza can't hold a candle any NY pizza created in the metro area can't make the oppossite conclusion either. The lame "American Cheese Pizza isn't Pizza" argument is ridiculous and I won't stand for it! We in NEPA have far more to offer than a simple rectangular pizza with American Cheese on it. 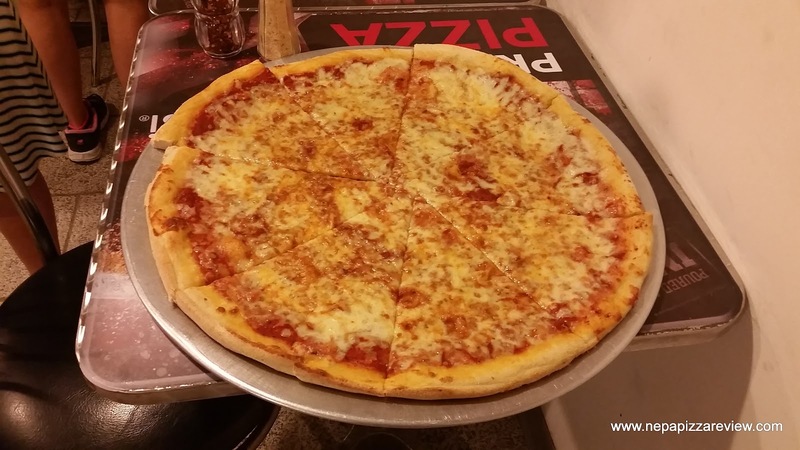 We offer a diverse pizza lineup with at least 3 varieties that are native to the 570 (Old Forge, Pan Fried Sicilian, Cracker Crust), plus we offer New York, Neopolitan, Grandma, Sicilian, Chicago, and just about any other type of pizza you can dream of. 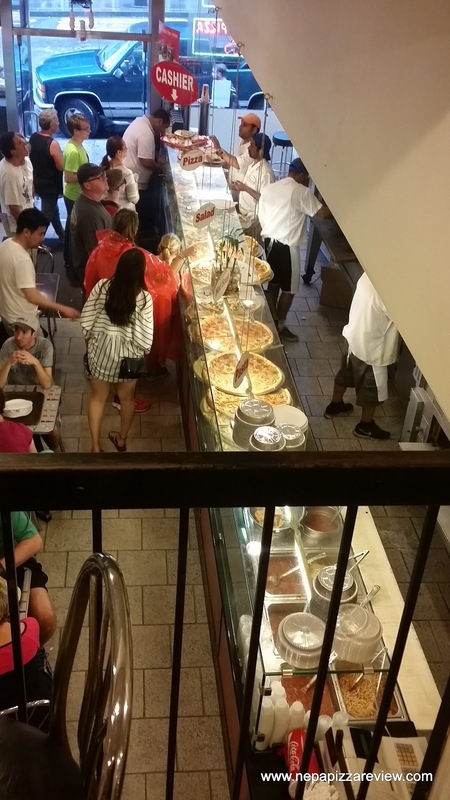 New York might have far more pizzerias and far more people than NEPA, but we have among the most pizzerias per capita in the world which means that on a percentage basis, we have more pizza to offer per person. Also consider NEPA has many first, second, or third generation families who immigrated from the original pizza-making nation of Italy. Further consider that we have numerous pizzeria owners who came from NYC to make their pizza here! That means we have all of the same pizza knowledge, we can buy the same pizza ingredients, and use the same methods as the pizzerias in NYC, we just don't have to charge double the price! Perhaps the one advantage is the theroy that New York City water makes all the difference in the pizza. Where I didn't find that to be the case, I did bottle up some NYC tap water to bring back home and make some pizzas and put this theroy to the test! I realize that I've tried over 200 pizzas in NEPA, and only 9 recent ones in touristy NYC so it's not a totally fair comparison, but I've been pizza blogging for several years now and I have to answer the constant dismissive tone of NEPA pizza by metropolitans just because we don't reside in a major city. I'm here to say, I've tried some of what your city offers and I like what my towns offer and I'll keep proudly enjoying the pizza from this area and stop wondering if NYC offers something better than the small business owners of our area, because it is my opinion that it doesn't. I'll be back and I'll see how your higher end neopolitan pizzas stack up againt the wood and coal fired neopolitans we have to offer. I'll keep an open mind for that day, but my resolve that NEPA offers among the best pizza in the world could not be stronger!